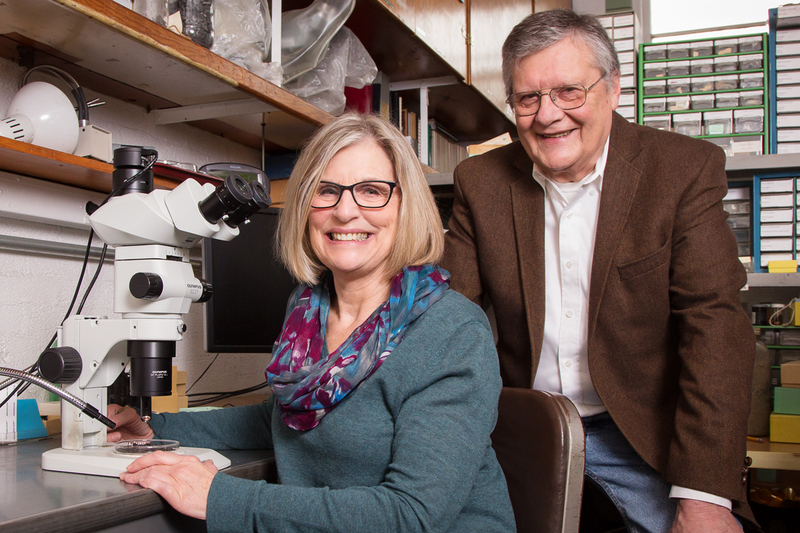 Illinois State Archaeological Survey archaeobotanist Mary Simon, with ISAS director Thomas Emerson, is correcting misconceptions about the earliest cultivation of corn in Illinois. CHAMPAIGN, Ill. — A new study contradicts decades of thought, research and teaching on the history of corn cultivation in the American Bottom, a floodplain of the Mississippi River in Illinois. 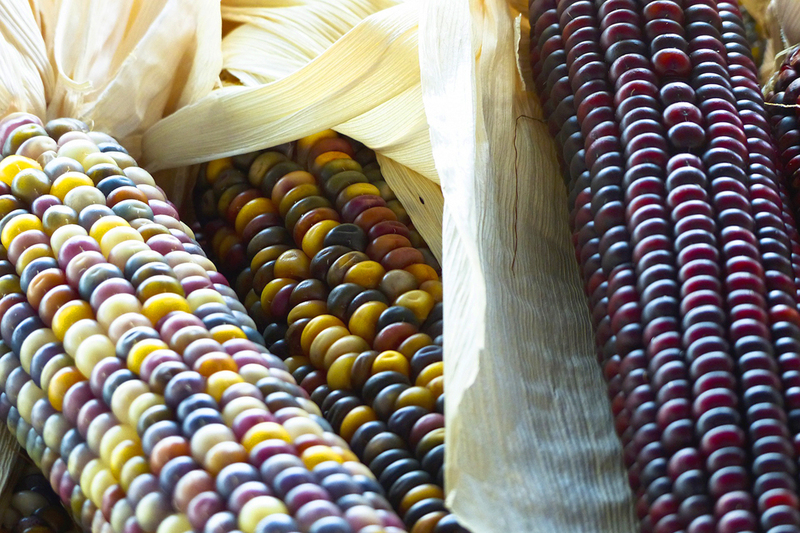 The study refutes the notion that Indian corn, or maize, was cultivated in this region hundreds of years before its widespread adoption at about 1000 A.D. The findings, reported in the journal American Antiquity, are important in understanding how and why Cahokia, the first major metropolitan center in North America, arose, said Thomas Emerson, the director of the Illinois State Archaeological Survey at the University of Illinois, where the new study was conducted. Cahokia was a vast, highly organized settlement with tens of thousands of inhabitants in its heyday, Emerson said. Its dramatic rise near present-day St. Louis and East St. Louis, Illinois, at about A.D. 950 and its sudden demise by 1350 have long been a source of fascination. There is broad agreement that corn was cultivated in this region at about 1000 and widely consumed by the people of this time period, Emerson said. Corn fragments, including cobs and kernels, show up in sites dating to 1000 or later. Skeletal analyses from bodies buried at Cahokia also reveal the devastating impact of corn on people’s teeth. These signs, as well as chemical signatures of corn consumption in the teeth and bone, also date to 1000 and after, he said. 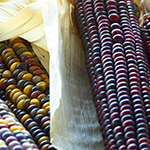 Indian corn today is very diverse, thanks to centuries of cultivation and adaptation to various parts of North America. No one knows what early corn looked like in the Americas, however. The new findings challenge earlier reports that maize was cultivated and consumed in the American Bottom as early as 60 years B.C. 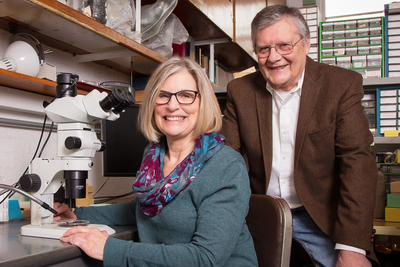 The early conclusions – in studies conducted before 2000 – were based on flawed approaches to analyzing ancient materials, said Mary Simon, an archaeobotanist with ISAS who conducted the new study. Rather than dating charred plant fragments directly, researchers analyzed charcoal or other “associated materials” to determine the age of the plants, she said. “We have since learned that a piece of charcoal or other material found adjacent to a corn kernel in an archaeological site could date to a later or earlier time period than the corn,” Simon said. Also, visual identifications can be wrong, she said. Scientists now date plant fragments directly using accelerated mass spectrometry, a technology that was just “coming into vogue in the 1990s” and used at that time to determine the age of materials, Simon said. Today, stable isotope mass spectrometry can be used in conjunction with AMS to detect differences between plant types, information that aids in plant identification, she said. Corn and other grasses absorb atmospheric carbon differently than other plants. This is reflected in the ratio of carbon isotopes – carbon atoms with differing masses – in plant tissues, Simon said. “The beauty of this procedure is not only do you get an absolute date, you also get that carbon isotope ratio, so you know, first, how old it is, and, second, whether or not it’s corn,” she said. In the new study, Simon revisited botanical samples from Holding, an archaeological site in western Illinois that was occupied from about 150 B.C. to A.D. 300. Simon was among those who mistakenly identified plant fragments from this site as very early corn, and later AMS data confirmed its age. Those findings were published by a group of archaeologists in 1994, and were widely recognized as being the oldest directly dated corn in the eastern United States. The new analysis, of remaining botanical samples from the Holding site, used both AMS and SIMS and found that the samples that looked like corn either were not corn or dated to A.D. 900 or later, Simon said. Researchers at Arizona State University found samples from the original study and also tested those for carbon isotope ratios. Their results confirmed that although it was old, the material dated in 1994 was not, in fact, corn. “Basically, what we found is that myths of early corn in the central Mississippi River Valley are simply inaccurate. They’ve been disproved. We no longer believe that corn was at all important, that people were growing corn, that anybody was using corn to any extent at A.D. zero,” Simon said. The two new studies suggest that corn was not in widespread use until 900 or later, she said. The ISAS is a division of the Prairie Research Institute at the U. of I. To reach Mary Simon, call 217-333-0854; email msimon1@illinois.edu. To reach Thomas Emerson, call 217-244-7466; email teee@illinois.edu. The paper “Reevaluating the evidence for middle woodlands maize from the Holding site” is available online and from the U. of I. News Bureau.